I've been blogging and sharing information about cryptocurrency over the past few months, and I'm really amazed at the response, plenty of you are interested and are eager to learn more about this fascinating new space. Two questions I get asked very often is "What is Bitcoin" and the second most popular question is "What is an ICO" which is what I'll be addressing today. Initial Coin Offerings or ICO's have become all the rage in the tech space, and if I had 1 Bitcoin for every ICO, I'd probably not be writing this post but be retired on a beach somewhere as a multimillionaire. An ICO is basically a fundraising mechanism and is the cryptocurrency equivalent of taking your company public. It holds a lot of similarities with the traditional way of raising capital in Initial Public Offering (IPO) in which public investors purchase shares of a company. The difference with an ICO vs an IPO is the barrier to entry and is why it has gained such popularity and momentum. If you're a prospective investor and wanted to buy shares, you would either have to deal with the firm who has the mandate to take the company public and purchases shares from them at the price they have set, purchase from another shareholder or from a trading platform. All three options are not really that attractive to the average investor with a little bit of money to invest. However, with an ICO there is almost a zero barrier to entry and all a prospective investor needs to do is purchase either Bitcoin or Ethereum in most cases and then exchange that with the company hosting the ICO in exchange for their coin. Why are ICO's so popular? In the past if you had a tech idea and needed capital you would have the following options, bootstrap (so self-fund your idea), find an angel investor or a venture capitalist form which usually takes a while and comes with its own restrictions or finally you could crowdfund your project. Crowdfunding has been very popular for smaller projects, but it would be very hard to raise millions needed to kick-start a tech company, until now. ICO's allow companies to attract investors from all over the world regardless of region, currency or capital injection you can invest in an ICO. Having access to this global scale of funding is created a new wave of businesses. There have projects in the past that would raise well over 2 million dollars in a matter of minutes or clear 20 million dollars in a week with their ICO. Since you're getting in at the ground price once the coin project is open for public trade by hitting various exchanges the initial price you've paid could double, triple and in some cases we've seen 10x returns or more with ICOs. While its a risk holding out and hoping this project reaches that stage since you cannot trade your position before it hits an exchange. Regardless of the risk, you can see why investors are attracted by the possibilities of major gains. Flexing those financial muscles with major gains bro! An ICO can start in just about any fashion, but the most popular steps in running a successful ICO is having the following phases, Airdrop, Presale, ICO soft cap and then ICO hard cap. Normally the first stage of an ICO is an Airdrop in order to get initial traction and generate interest in the project companies decided to set out an initial allocation of tokens for this marketing drive. A cryptocurrency airdrop is when a blockchain project decides to distribute free tokens or coins to the crypto community in order to gain interest as well as encourage usage and trading. It’s a great way to get initial marketing going and use word of mouth and the community to generate interest on your behalf. Next in line is the pre-sale this which is an optional step, but many ICO's feels it necessary in order to gain initial traction. This token sale event is run before the official crowdsale, or ICO campaign goes live. 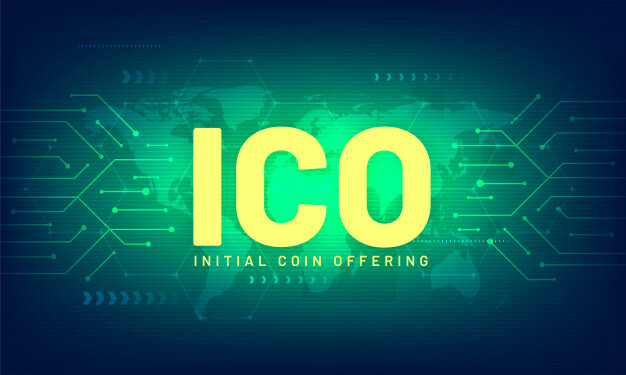 The fund-raising targets for Pre-ICOs are often lower as compared to that of the main ICO and tokens are usually sold cheaper but also with limited allocation available. Pre-sales also usually include bonus allocations, for example, a 20% increase in what you would have normally received if you purchased in the ICO phase. Some projects run Pre-ICOs as a way to accrue funds to cater for the expenses incurred on the way to launching the main ICO. Some of the expenses include paid promo ads, strategic recruitment and meet-up costs to help whip up investor interests. Once the ICO crowd sale begins the project aims to reach what is called a soft cap. A soft cap is the amount received at which your crowdsale will be considered a success. It is the minimal amount required by your project. The soft cap is not guaranteed to be reached, and it has mainly a speculative nature. If it isn’t reached, then most of the projects will shut down and return all the raised capital to the investors. The hard cap of an ICO means the maximum amount of capital that it aims to gather. Most of the up and coming cryptocurrency projects set the hard cap very high and are unlikely to be reached. The hard cap is the number of the maximum capital needed and projects will mostly stop accepting additional funding after the hard cap. If an Initial Coin Offering reaches its hard cap early in the ICO phase, then the phase will end early. A premine or instamine ICO is where the developer or developers don’t release the cryptocurrency in what can be considered a fair manner. Using the premine strategy a developer allocates a certain amount of currency credit to a particular address before releasing the source code to the open community. This is often done based on the reasoning that they need to pay for certain features such as listing on exchanges and development of core features such as block explorers, but there are many instances where it was used to make developers plenty of cash as they create artificial scarcity for the coin and drive up the price. Once the ICO is completed the tokens that have been purchased are then distributed to each investor to hold or sell as they please. The distribution can be done via their ICO site, and users will have to log in to the site to access their funds, or it could be sent to a hot wallet of their choice if the ICO supports hot wallets. Investors can then send those tokens to exchanges and sell them for Bitcoin or Ethereum and then cash it out to fiat currency to get their returns. While ICO's have the potential for major upsides, there are equally as many downsides besides the project failing you could fall victim to an ICO scam. So you found a legitimate ICO project with a great roadmap, solid whitepaper, visible team and they're being endorsed by reputable companies and exchanges, great time to invest right? Well, some people thought so too and were still taken for a ride. Things like fake telegram channels or admin rights being hacked and users soliciting funds from the community have been rife in the ICO community, and some scammers have made off with millions. By far the most popular ICO platform is Ethereum with about 90% of ICOs using them to kickstart their funding rounds. ETH has made creating your own ICOs so easy to structure because of its ERC20 Token Standard, which abstracts a lot of the development process necessary to create a new cryptographic asset. Most ICOs work by having investors send funds (usually bitcoin or ether) to a smart contract that stores the funds and distributes an equivalent value in the new token at a later point in time. Next in line is NEO who some claim is the ETH of the east, a powerful smart contract based cryptocurrency that like Ethereum allows you to create a token that can be managed on the NEO blockchain and held in NEO wallets. Stellar may currently lack the brand recognition of Ethereum, but if it continues to rack up ICO’s, as it has been doing recently, then this could soon change. Ethereum could soon start to face real competition from Stellar. If Ethereum is going to continue to stay way out ahead of Stellar for ICO’s, then lower transaction fees and faster settlement times may be required. These are two of the key advantages that Stellar has over it at the moment. The fact that Stellar has its own built-in exchange which is extremely fast and incredibly cheap means that ICO companies can start having their coins exchanged on day 1, as soon as they launch. EOS is a dApp and Smart contract platform similar to Ethereum. EOS alleviates problems with scale while improving the user experience when dealing with Ethereum applications. For developers, EOS can be seen as almost as important as Ethereum itself. It enables less expensive execution of smart contracts which in turn enables new kinds of applications to be built. Because lowering or eliminating fees associated with executing code on Ethereum is, in itself, a valuable market opportunity, EOS has consistently found itself among the top cryptocurrencies by market capitalization. EOS itself provides much of the same functionality as the Ethereum network, and of course, relies on Ethereum. But it can scale to potentially millions of transactions per second by comparison to the Ethereum network itself. By bringing both scale and accessibility to developers, it provides inherent demand for its token in that the token is required for other tokens to be launched on the EOS network. As many as a dozen EOS DApps have already been launched. Like I've mentioned before ICO's are a great way to get in on the ground and investing in some exciting startups, but they do carry an insanely high-risk factor so if you don't have the stomach for it, I suggest you stay away or only partake in the airdrop phase. If you do think you found a solid ICO worth taking the risk on, do not invest more than you can afford to lose and do not bank on getting any returns only see it as a bonus if you are lucky enough to find a successful ICO.